Birthday parties, playgrounds, smartphones, and tablets are a few images that come to mind when one thinks of modern-day childhood. However, what should be a carefree time for children can often be riddled with stress to excel academically, along with the pressures to fit in with peers. Being “constantly connected” has taken its toll as we’ve seen children’s self confidence heavily tied to the number of social media followers, likes, and shares. It’s no surprise that intensive use of cell phones and computers have been linked to an increase in stress, sleep disorders and depressive symptoms in young adults, which has led people to investigate activities to promote healthier lifestyles. One activity gaining traction amongst kids is yoga. KampInd was fortunate enough to sit down with Amani Eke, founder and owner of social enterprise Project Yogi, to learn about her journey. Amani first encountered yoga in 2008 through the pages of a book, which left her captivated. After researching classes and attending several ad-hoc sessions, Eke noticed a marked difference in her physical and mental well-being. In 2014, a teaching opportunity to learn Kemetic Yoga arose, and she accepted the challenge with open arms. “The strict, 5-month training regimen benefited me emotionally, and required extreme focus and discipline to rise early each day to meditate and do an hour of yoga, amongst other things. 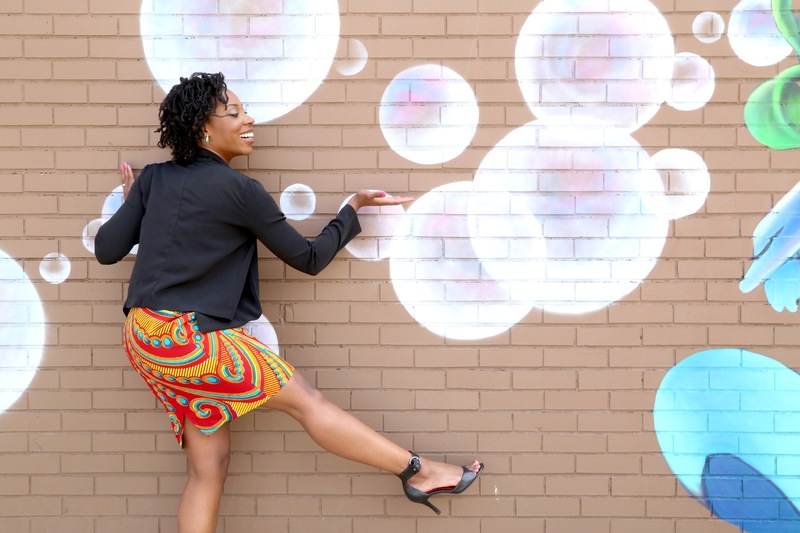 The overall process helped me let go of negative things I’d been holding onto,” said Amani Eke, founder and owner of social enterprise Project Yogi. Eke’s passion for yoga only grew stronger, and she realized she wanted to bring it to more people. “After my teacher training, I decided to take another course to teach yoga to teenagers and children. Upon completing this training, I knew I wanted to teach yoga to young people—I made the decision to start Project Yogi, and at the end of 2014 the journey began,” added Eke. Question: What do you say to the child or parent who thinks yoga is too ‘soft’ compared to sports? AE: Yoga is one of the best things your child can do to aid in their physical development and emotional well-being. It has countless physical and mental health benefits and is calming, relaxing and fun. It is excellent for children who don’t like competitive sports, but still need something to keep them active–it’s comparable to a workout. Question: What are your top three reasons to introduce children to yoga and mindfulness? AE: 1.Yoga empowers children by helping them learn about their body, mind and health at an early age. 2.Yoga and mindful meditation have been proven to aid brain development, and the benefits are felt beyond the mat. 3.Yoga can be fun, creative and interactive. Question: What is unique about Project Yogi? 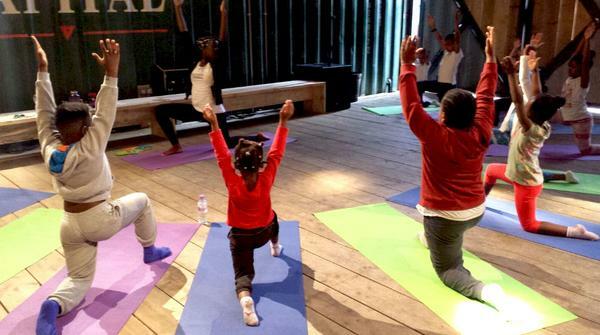 AE: While there are other organisations in London providing yoga and mindfulness to children, Project Yogi is not just a business teaching yoga to young people—we are a social enterprise that gives back to communities. We provide after school classes, family yoga and will be starting mother and toddler classes soon. In addition to this, we work with schools, youth organisations, and charities to provide sessions for disadvantaged and vulnerable young people and families in London. The whole mission of Project Yogi is to get as many children, teens and young adults as possible learning and practising yoga so they can gain the benefits! Are you a local parent or organisation that feels you could benefit from Project Yogi’s services? If so you can learn more at their website or get in touch with Amani Eke directly at 07904550164. This article was brought to you by Kampind in conjunction with Mpact PR’s Soul Story Sessions. Soul Story Sessions work with artists and entrepreneurs who want to create stronger connections with their audience. If you’re an artist or entrepreneur seeking to inspire others by telling your story, please get in touch.